With the new park opening procedure, there’s more time for enjoying breakfast in the park. New menu options give you even more choices. Casey’s Corner will be serving muffins, bagels and a croissant donut. 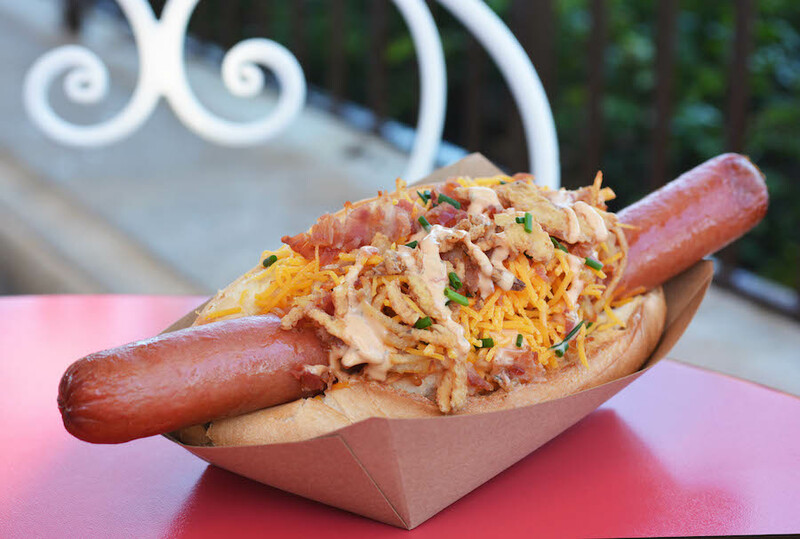 Those searching for a more savory, brunch-like option will enjoy corn dog nuggets and the hash brown dog. 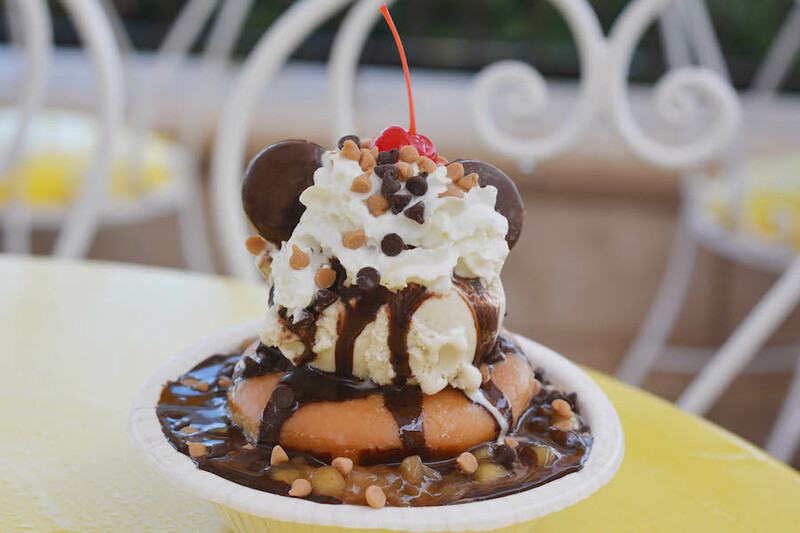 Also on Main Street U.S.A., Plaza Ice Cream Parlor will serve Mickey waffles, Kelloggs cereal and donuts. For a sweet twist on breakfast, try the donut sundae, a donut topped with your favorite flavor of hand-scooped Edy’s ice cream, hot fudge, apple, whipped cream, peanut butter chips, chocolate chips and of course, a cherry. 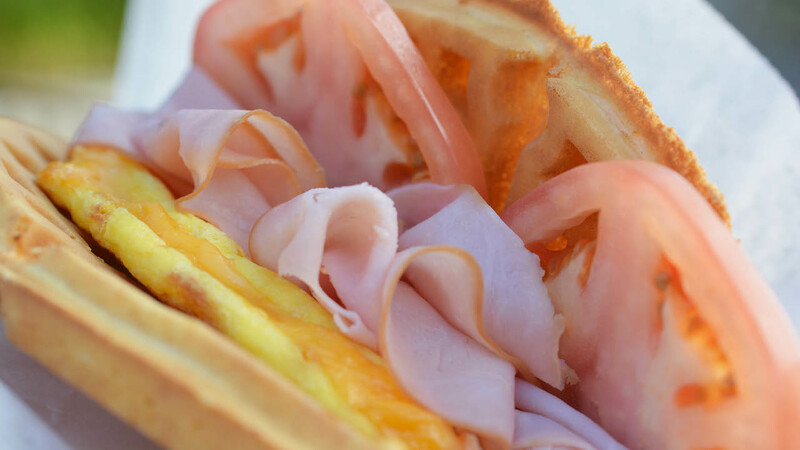 Sleepy Hollow has been serving breakfast for some time, including hot, freshly-made waffle topped with strawberries and whipped cream, the fruit and chocolate-hazelnut waffle and now a new egg, ham and tomato waffle sandwich. “Brunch With a Twist” debuted as part of the 2016 Epcot International Food & Wine Festival, and now the popular Saturday event is back – at noon Feb. 11, hosted by Cítricos and featuring the award-winning chefs at Disney’s Grand Floridian Resort & Spa. At this event, Guests join some of Disney’s top chefs for the five-star, five course brunch created by chefs representing Victoria & Albert’s, Cítricos, Narcoossee’s, Grand Floridian Cafe and the Grand Floridian Bakery. Cost is $169 plus tax (gratuity and valet included). For reservations and to pre-pay, call 407-939-3463. 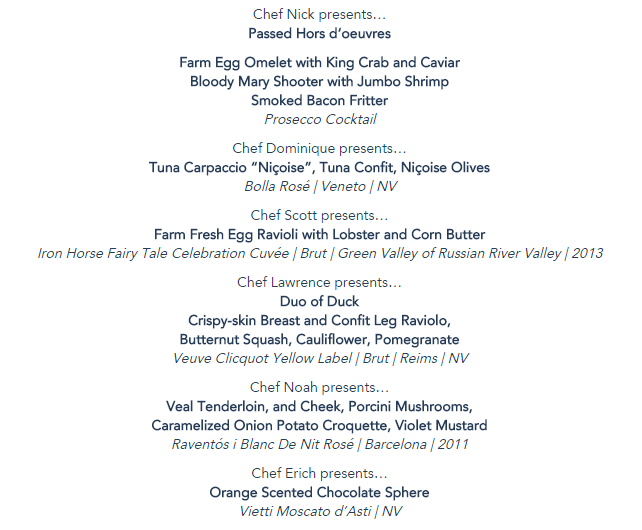 Next Brunch With a Twist (with another fabulous menu) is already on the calendar for noon May 6. From January 12 until February 22nd, guests visiting Magic Kingdom Park at Walt Disney World Resort can save up to 20% per adult on quick-service dining by purchasing a Disney Dine-on-the-Go Meal Pack. Each Disney Dine-on-the-Go Meal Pack includes one Quick-Service meal certificate to be redeemed at participating locations from Park open to 4 p.m., and one Quick-Service meal certificate to be redeemed at participating locations from 4 p.m. to Park close. 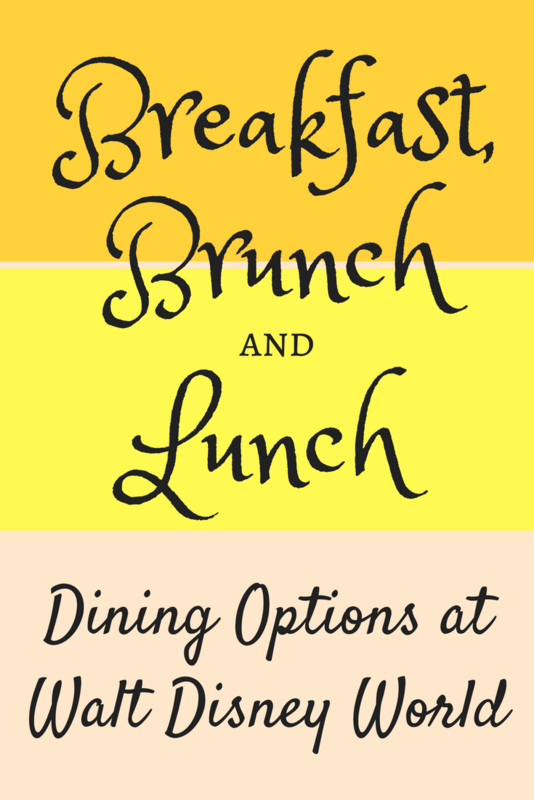 Each Quick-Service meal includes one entrée and one nonalcoholic beverage (Dessert is not included). 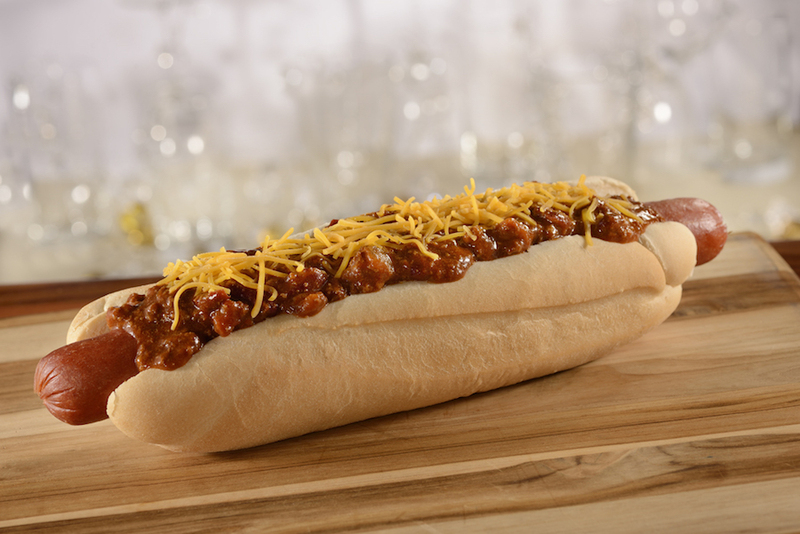 Participating restaurant locations include Casey’s Corner, Columbia Harbour House, Cosmic Ray’s Starlight Cafe, Pecos Bill Tall Tale Inn & Cafe and Pinocchio Village Haus. Valid park admission is required to utilize the certificates. Price is $29.00 for adults and $12.00 for ages 3 to 9.